Finding Gossamyr tells the story of a brilliant young boy named Denny who excels at solving problems, despite his social issues. Denny's older sister, Jenna, overwhelmed by the difficulties of caring for him, decides to enroll Denny in a program for gifted children. The program requires the children to further attempts in solving a complicated theorem whose solution has evaded adults for three years. Denny begins to solve the theorem, but soon sees how dangerous the consequences would be if he succeeded. Under pressure from Doctor Hamilton, the program manager, and his overwhelmed sister, Denny completes the theorem and unlocks a bridge to a magical world called "Gossamyr" that we see only a glimpse of in this first issue. 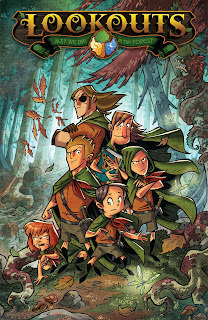 This all-ages comic employs a unique combination of math and magic that, along with the personalities and backgrounds of the characters, creates a more realistic side to a story about a fantasy world. Jenna is struggling to manage her brother who has severe social issues and needs to adhere to a very specific schedule. She gave up her own dreams to take care of him and we are left to wonder why they are in this situation. We see a glimpse into the family's troubled past and hear a conversation between Jenna and her mother in which Jenna tells her "you can barely take care of yourself." 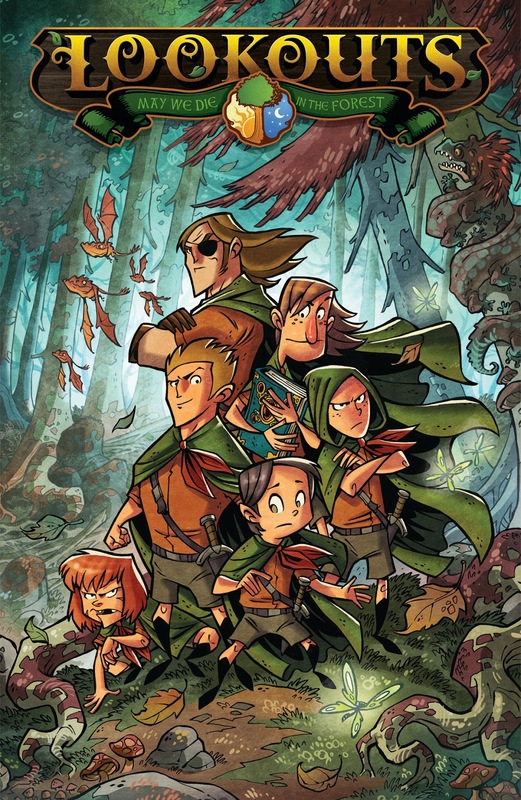 Denny's condition and the broken status of their family advance the comic from just another kid fantasy story to something that has a certain draw even for adults. 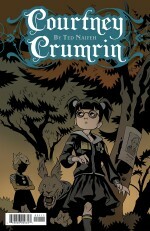 Courtney Crumrin has been the star of several miniseries and one-shots, but to introduce readers unfamiliar with her story to her magical world, Ted Naifeh created a new character in this issue, Holly Hart, who learns about Courtney as the reader does. Holly Hart is the new girl in school and her clothes and attitude cause everyone, including herself, to view her as an outsider. On her first day she quickly notices the other outcast in school, Courtney. The two become friends and Holly soon learns about Courtney's magical family and abilities, while Courtney tries to remain realistic about their growing friendship. She struggles to balance the happiness she feels over her new friend with her fear that Holly might abuse the magic she is learning. Courtney assumes that she is just being paranoid, but the evidence of Holly's lies build up until their friendship is destroyed. The ending of the issue displays Courtney's intelligence and the benefits of her skeptical nature, but just when you think the story is all wrapped up, Naifeh leaves the reader waiting for answers and more action. The Lookouts are a group of mediators responsible for protecting humans from the dangers of the Eyrewood where the story is set. The organization recruits the young and this issue focuses on a group of Lookouts in training. Each six-issue miniseries arc will center around the Lookouts earning a new badge and the first badge they attempt to get is the Riddle Badge. An elder gives their group the task of stopping a powerful sphinx that has been guarding the road to Yarrow. The sphinx destroys those who answer his riddles wrong, and the Lookouts must protect his victims while attempting to discover the reason behind his appearance. The issue shows character development, particularly of Dore, Boli, and Lark and their older leader, Samson. The tension between the elder and Samson hint that there are more dangerous things than monsters in this story and creates another intriguing side of the plot.